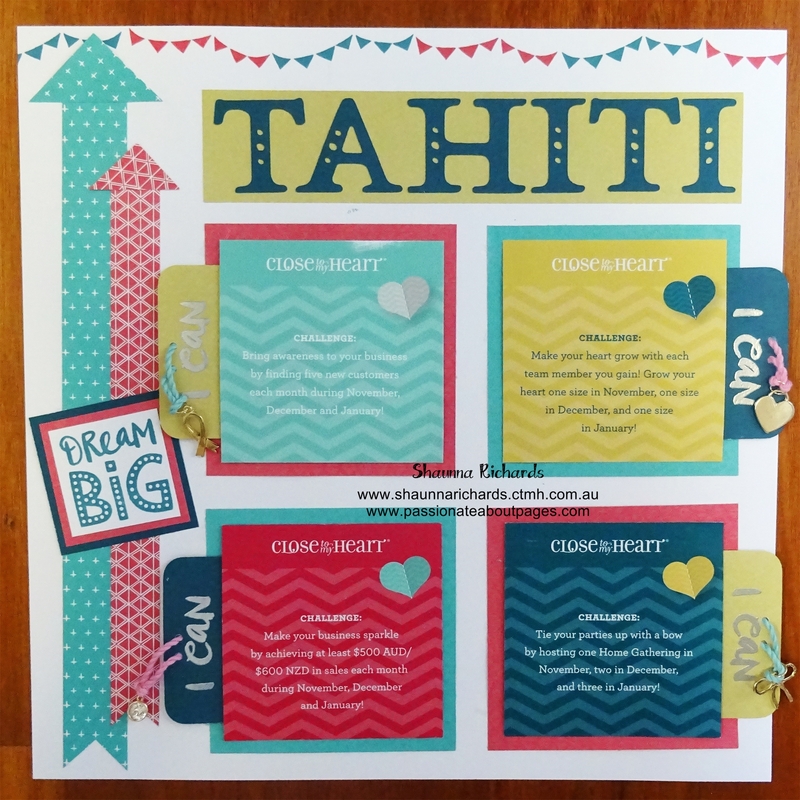 Welcome to June’s Stamp of the Month Australasian Blog Hop. This is a circular hop. If you arrived from Megan’s blog, you are in the right place. Simply read through this post and click on the link to the next blog at the end of it. Keep reading and ‘hopping’ until you find yourself back where you started from. Each blog will showcase a project featuring the A Bushel & a Peck (S1806) stamp set which is June’s Stamp of the Month. The name of this stamp set brings back gorgeous memories of my parents teaching the song from Guys & Dolls to my kids. You can listen to Doris Day singing it here. I will make a page to tell that story but couldn’t lay my hands on appropriate photos today. I had a good look at the images on the stamps and went through the photos I needed to scrapbook and voila! The wind-swept leaves seemed to look like peacock feathers and I decided to make it work. After playing on some scrap paper I came up with a stamp design I liked and was thrilled to discover the Central Park papers have this gorgeous sunburst print which complemented my design perfectly. The layout is based on Pattern 4 from Make It From the Heart Vol 3. I needed to fit 22 photos and a long story on it, so had to call on my trusty Flip Flaps and Pocket Plus Protectors once again. You may spot one paper from the retired Prickly Pear collection. The colours in this pack are very similar to Central Park so I blended the two. I stamped the ‘peacock feathers’ design onto white cardstock before cutting the title letters. The ‘as a’ sign is made using the ‘apple cider’ stamp in the set. It is highly unlikely I’ll ever need this phrase but that sign is absolutely gorgeous, so I used my Micro Tip scissors to cut the words out of the stamp. I’ve kept the words if I ever do need them but I’m happier now the sign can have anything written on it. I love that every person who earned a fascinator is present on this one layout and that there was space to include the giggly photos too. A Bushel & a Peck (S1806) is only available during June, 2018. Full retail price is $27 but you can have this gorgeous set for just $7.50 when accompanied by a $75 order. Place your order with your Close To My Heart Consultant. Did you like this layout? I’d love you to leave a comment for me before you click on the underlined link and move on to Georgia’s Blog , Georgia Creates , to see the gorgeous project she has designed for you. 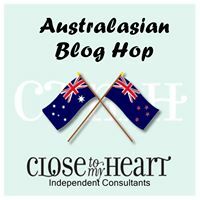 Welcome to the May Stamp of the Month Australasian Blog Hop. This is a circular hop. If you arrived from Maz’s Blog, you are in the right place. Simply read through this post and click on the link to the next blog at the end of it. Keep reading and ‘hopping’ until you find yourself back where you started from. Each blog will showcase a project featuring the Live, Laugh. Love (S1705) stamp set which is May’s Stamp of the Month. Doesn’t this stamp set just make you want to grab some snaps of your smiling family and friends and make a gorgeous page? I sure did! I have a collection of happy snaps we took disembarking at each port on a cruise and when I look at them I laugh at the sweet memories we made together living life and loving being together. 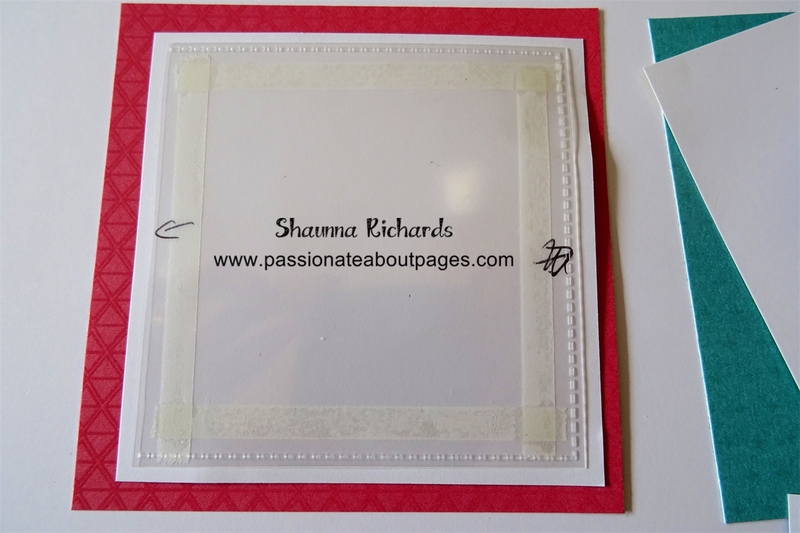 The layout is taken from the Cherish Ideas Book. It’s the first one in the book. I chose the layout because it had 3 places for embellishments I knew would suit the 3 words on this stamp set. Looking through the NEW collections launched today in Seasonal Expressions 2, I knew the bright colours of the Prickly Pear collection would be perfect for these photos. Begin stamping the words as shown. You have 3 word panels and extra words in alternate colours. I used Emerald, Tangerine and Blossom inks. Cut some of the extra letters out and layer on top of the word panels using thin foam tape. The letters are super easy to cut so this doesn’t take long. Once the layout is complete, embellish with the bright Prickly Pear sequins. Double the number of photos on this layout by adding Flip Flaps. The layout remains clean and uncluttered and the Flip Flaps provide a fun interactive element for your album readers. Before you move off to the next blog in this hop, let me share a little tip if you make a mistake like I did. I cut one of the smaller yellow pieces the wrong size and had it glued down before I realised. Rather than waste the paper, I used the Rub & Remove eraser to take the adhesive off and popped the paper back in my packet. Live, Laugh, Love (S1705) is only available during May, 2017. Full retail price is $27 but you can have this gorgeous set for just $7.50 when accompanied by a $75 order. Place your order with your Close To My Heart Consultant. 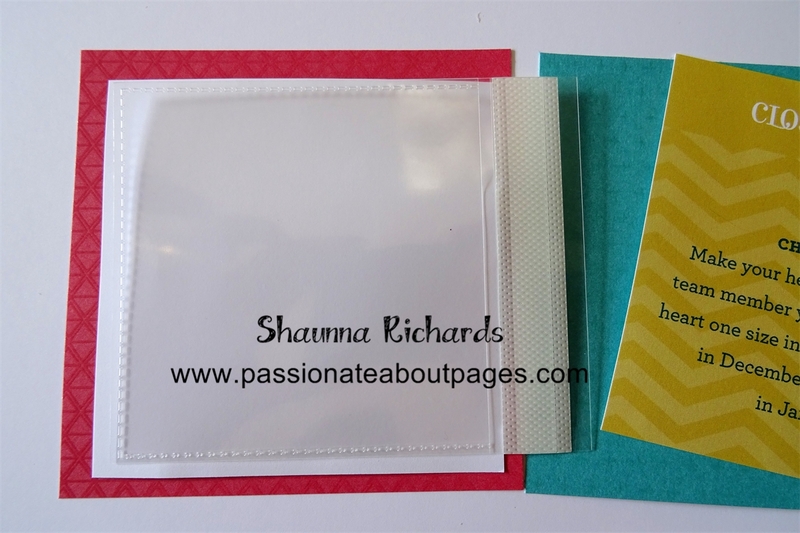 Welcome to the April Stamp of the Month Australasian Blog Hop. This is a circular hop. If you arrived from Vandra’s Blog, you are in the right place. Simply read through this post and click on the link to the next blog at the end of it. Keep reading and ‘hopping’ until you find yourself back where you started from. Each blog will showcase a project featuring the Life In Pictures (S1604) stamp set which is April’s Stamp of the Month. I think everyone of us needs this set in our craft room. Our fridge door photo gallery was looking very tired. Mismatched magnets holding photos and covering some of the image, fingerprints and smears on some photos and no sense of how important the photos are to us. So! I created my own magnetic fridge frames. Use Paper Fundamentals because the paper is decorative and heavy weight so it won’t curl or tear easily. Cut a piece 5 1/2″ x 7 1/2″ and cut a 4 1/4″ slit 3/4″ down from one short end. Use the measurement guides on your 12″ trimmer to make this easy. Take a 4″ x 6″ Flip Flap (Z4114) and trim off the adhesive strip. You want the side that had the adhesive strip to be higher than the other side of the pocket. Centre the flip flp on the front of the Fundamentals Paper, making sure the lower edge side of the Flip Flap is glued to the paper and that this edge lines up with the slit you cut. Slide your photo into the Flip Flap. Use Shimmer Trim around the edges of the Flip Flap to hold it in place and highlight your photo. Add decorative elements as desired. Corner round the frame if that takes your fancy. When you want to update your photos you can slide the orignal out and replace it with a new one. In these samples, watercolour paint was used on watercolour paper. The paint was allowed to dry and then the images were stamped using Memento Black ink (Z899) for all the sentiments and some of the cameras. Other cameras were stamped first and then painted with a watercolour wash afterwards. Each gives a slightly different effect. Your last task is to recycle those magnets you were using and stick them to the back of your frame. Liquid Glass (Z679) is perfect for the job! Super easy and lots of fun. This would make a great holiday project to do with the kids. Why not make a set for a Mothers Day Gift? Life In Pictures (S1604) is only available during April, 2016. Full retail price is $27 but you can have this gorgeous set for just $7.50 when accompanied by a $75 order. Place your order with your CTMH Consultant. Did you like this idea? I’d love you to leave a comment for me before you leave. Kay was next on our hop but we are having some technical issues so fo now, plese leapfrog over to Wendy’s Blog by clicking here. Australasian November Stamp of the Month Blog Hop – S1511 Cheers, 2016! 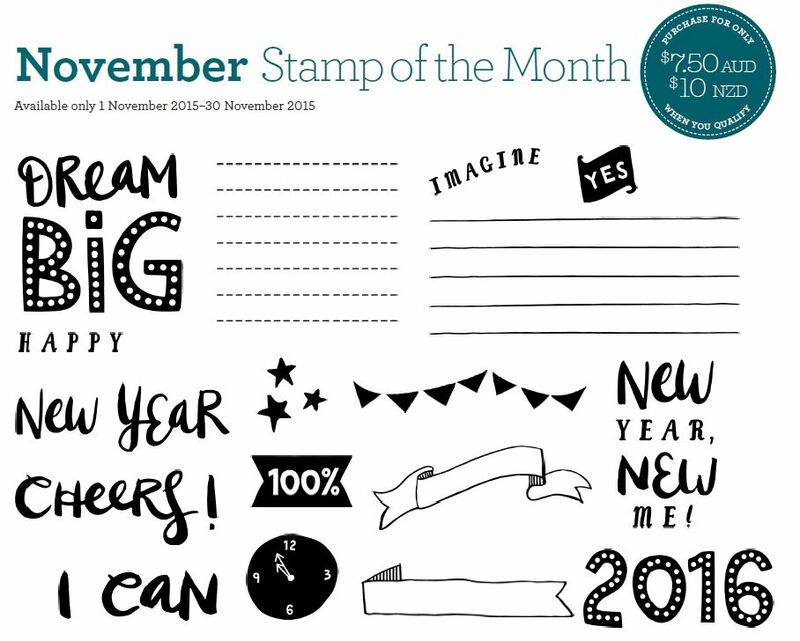 Welcome to the November Stamp of the Month Australasian Blog Hop. This is a circular hop. If you arrived from Anne’s Blog you are in the right place. Simply read through this post and click on the link to the next blog at the end of it. Keep reading and ‘hopping’ until you find yourself back where you started from. Each blog will showcase a project featuring the Cheers, 2016! (S1511) stamp set which is November’s Stamp of the Month. I know we have 2 full months to go of 2015 but it’s time to start thinking about your goals and dreams for the new year. I recently attended the Close To My Heart Australasian Convention. We talked about goal setting for our business and were set some challenges for the next 3 months. I have set my own, much higher goals and wanted a way to keep a visual reminder of these goals for the next 12 months. Here it is. If I meet the goals I’ve set myself, Mike & I will earn an all expenses paid trip to Tahiti. I loved going to Hawaii this year – Close To My Heart sure know how to spoil a girl. I used the Paper Fundamentals for this layout. There are 4 packs – Enchantment (Z3126), Adventure (Z3125), Whimsy (Z3127) and Basic (Z3128). 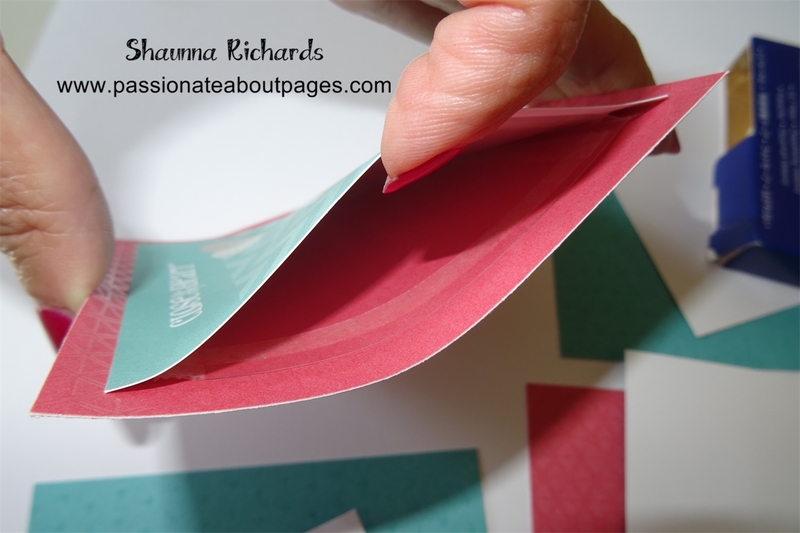 I love that one side of the paper is embossed and shiny while the other side is matte and features a subtle pattern. The tags you can see are tucked behind the challenge cards we received at convention. I used 3″ square Flip Flaps to make a pocket for the tag to slide in and out of. The “I Can” phrase is heat embossed with silver and the Base & Bling charms are attached with Thick Twine. Begin with a 3″ x 3″ Flip Flap from the Small Assortment pack (Z1747). Cut off the tab with the adhesive strip. 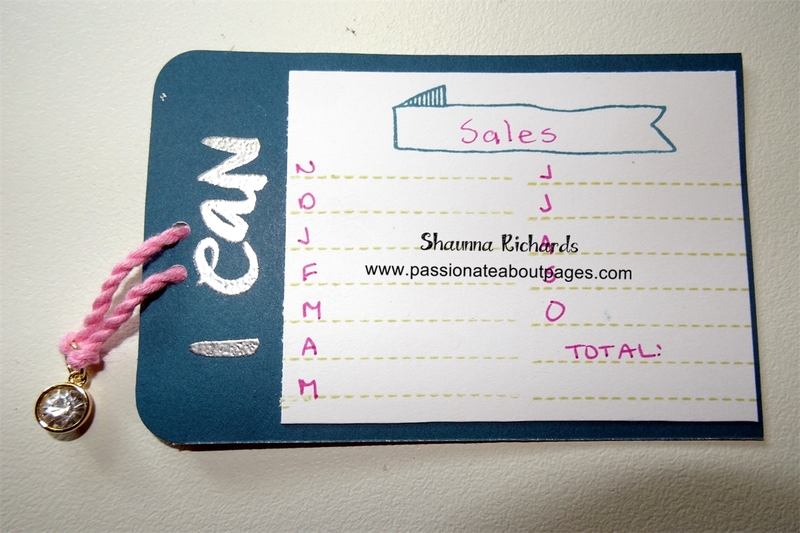 Attach the Flip Flap firmly to the back of your challenge card (or photo). Add adhesive around all edges of the Flip Flap and attach to your photo mount. You now have a pocket made of plastic for the tag to slip into. I stamped the lines and the banner from the Cheers, 2016! stamp set and hand wrote my title. The letters are for each month. At the end of the month I will record my final figures and see if my goal was achieved. Cheers, 2016! (S1511) is only available during November, 2015. Full retail price is $27 but you can have this gorgeous set for just $7.50 when accompanied by a $75 order. Place your order with your CTMH Consultant.